Procedural shading is something that can become an incredibly useful skill to learn, as it can allow you to generate reusable assets, which can come in handy in larger projects. The skills it requires can also help when shading actual textured assets since it gives you the understanding of shading attributes you need in order to add that extra bit of realism to what you make. This tutorial will cover a very basic material creation process as well as some extra bits of helpful information that should hopefully give you an understanding of the foundations of what you will need to begin procedurally shading your own assets. I will be using V-Ray 3.1 and Maya 2016, but much of what I show you will be applicable to many other renderers. Also, I heavily recommend Grant Warwick’s ‘Mastering V-Ray’ series, as his videos are incredibly informative – however he works exclusively in 3ds Max in his videos. I figured I could do a little translating for you guys to help you learn the basics! Mike Cauchi's website – Fantastic work by the author of the above article. 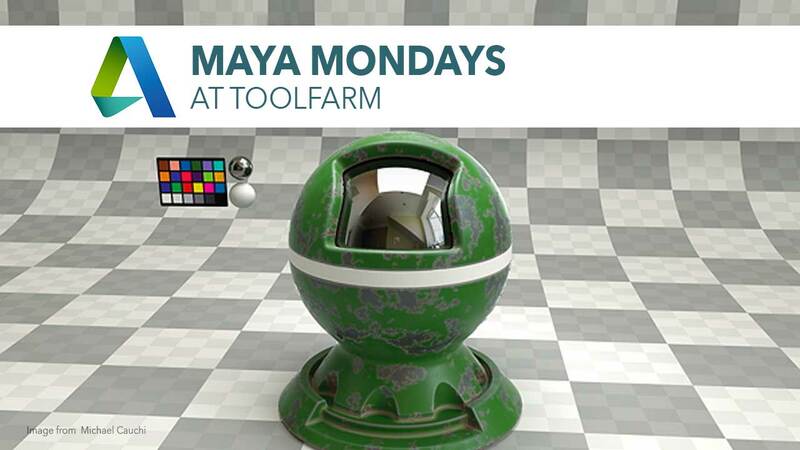 How to Teach V-Ray for Maya in two weeks – Chaos group speaks to professor Cornelius Malerczyk of Technische Hochschule Mittelhessen about mathematics, V-Ray, and intensive summer camps in CGI. From January 5, 2018. This tutorial is a couple of years old but hopefully will still hold up for most of the procedures. This tutorial is from Flipped Normals and more! and the project files can be downloaded here.